I felt so energized recording this audio for you. I am honored to be able to follow my purpose and be part of the paradigm shift that is happening. So many of you are “waking up” and realizing that you are the expert on your food and body, that by going inward you have so much power and ability to live a free life to live out your presence. 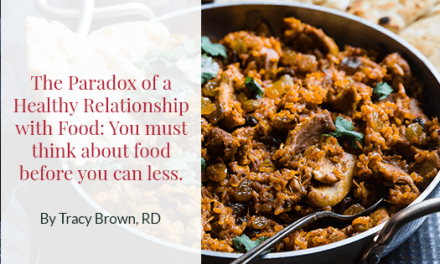 What I mean by all of this is that by being on the path to healing your food and weight concerns, you make SO MUCH SPACE for pursuing goals, passions and callings that worrying about your body size holds you back from. To listen to the audio about Attuned Eating with a few extra nuggets of wisdom thrown in there, go to the AudioAcrobat link at the bottom of this post. You will also see a link for a survey looking to hear from you about what kind of support you are looking for to help you free yourself from food and weight concerns. The survey is 2 questions short. Besides individual coaching with me, I am still working on adapting my in person 8 week Attuned Eating for Attuned Living for online work with me. If you are interested in this, please email me and I will put you on the list to alert when it’s finished and ready to go! I also have some transformative ideas and was wondering if you are interested in joining me. If you would be willing to fill out the following very quick survey, you will be part of deciding what I facilitate with you next. I am leaning towards a fast, no homework book club for mid-summer, however, I want to hear what you need. Finally, I am excited to have partnered with HealthWave, an online dispensary where you can get 15% off your purchase of supplements. I think supplements play a role in wellness when we can’t get in certain nutrients on a consistent basis (I certainly don’t get in omega 3’s through food that often). The supplements carried by HealthWave are good quality and ones that I feel comfortable with and use. I do receive a small commission with your purchase. If you aren’t cool with that, just window shop on your own and if you find them at a deeper discount elsewhere, of course do that. Here is the survey where you get to decide what you would like support with! Thanks for being part of the Attuned Eating for Attuned Living community.